The room at the CSIRO's Marsfield offices where Ngara is being tested in-house. The CSIRO is moving to attract millions of dollars worth of commercial investment from networking vendors ahead of the first field trial of its in-house broadband wireless over analogue television spectrum technology. The technology, which the CSIRO hopes will be used to connect the remaining seven per cent of the population not covered by fibre under the National Broadband Network (NBN), is slated to be trialled in Smithton, Tasmania for one week during December. The test will assess test speed and range of the technology using a single broadcast tower, single analogue television channel, and six farmsteads to simulate remote and regional end users. See Computerworld Australia's NBN Map. The trials, which had originally been scheduled for September but were postponed due to uncertainty surrounding the outcome of the Federal election and its implications on the NBN, are expected to be attended by networking vendors , NBN Co representatives, CSIRO and federal government staff. 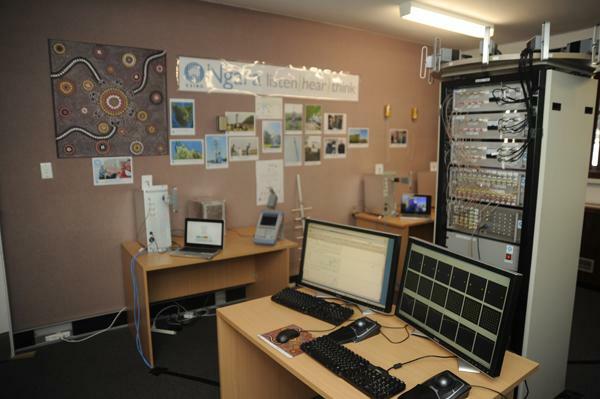 According to CSIRO ICT centre director, Dr Ian Oppermann, commercial investment would be needed to help bring the price of the technology’s base stations and end user terminals down. “We are a science organisation, so at some point we will reach the end of our mandate and we will need to the technology and commercialisation parts to move along,” he told Computerworld Australia. The technology’s end user terminals would need to come down to the equivalent pricing of higher end ADSL modems, or between $200 and $300, per unit in order to become commercially viable, Oppermann said. The cost of the base station equipment would need to come down to no more than twice the cost of equivalent LTE or WiMax equivalents. “Our basic value proposition … is that you shouldn’t need to build more towers, or if you do, it should be far fewer than an LTE system. The cost of the box, while significant, is not the major component. It is the whole site acquisition, setting it up, putting a tower in place, maintenance — the whole lifecycle. While commercialisation of the technology could start “very soon”, Oppermann said, it would likely be some two years before the technology was available on the market. Discussing networking speeds of the technology, Oppermann said it would offer 12mbps up and down, shared between up to 1000 homes in a roughly 15 to 20 kilometre radius of a broadcast tower. “The peak rate is 12[mbps], but you will get a slice of that depending on how many other users are accessing it,” he said. [NBN Co] could utilise one analogue television channel to deliver 12 mbps up and down, or take four, and divide it between up and down to get 50/50 [mbps], 75/25, or whatever the right configuration is. Detailing specific applications of the wireless technology, Oppermann said the speed of the network would allow Farmers to take ultrasounds of pregnant or wounded livestock and send these to veterinarians located elsewhere in the country for diagnosis. Similarly, nurses working in remote areas could use equipment to scan the eyes of patients then send the 16 Mb image files to ophthalmologists to use in diagnosing glaucoma or diabetes.